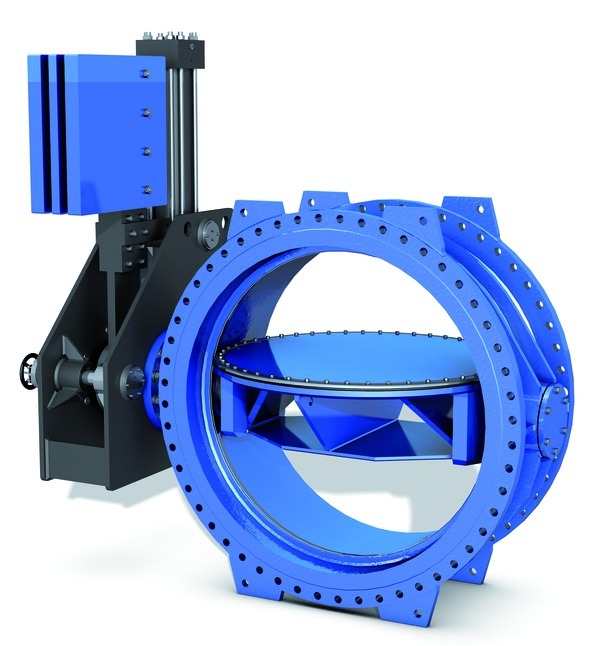 Special butterfly valve, particularly suitable as turbine inlet valve. Customised double-eccentric design. For operation with hydraulic brake-and-lift unit. Low flow resistance and suitable for very high flow velocities.